Miku Flick, a rhythm game featuring the popular Vocaloid character Miku Hatsune, is now available worldwide on the App Store for iOS devices, including iPhone and iPad. Developed by Crypton Future Media and published by SEGA, Miku Flick marks the first time a game or any media property featuring the character has seen release outside of Japan, and it will feature both English and Japanese language options to reflect this. 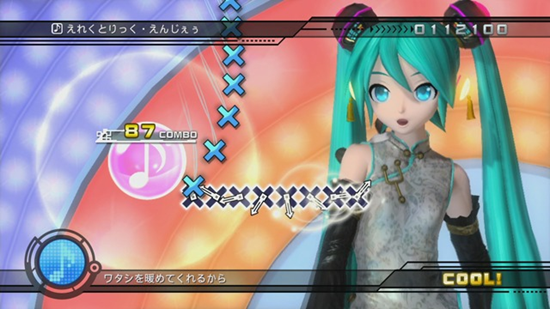 Unlike most traditional rhythm games, Miku Flick’s timing-based gameplay focuses more on the lyrics of a song (of which there are 13 in total) rather than the beat or rhythm, changing the dynamic compared to similar games. It is also worth noting that Miku Flick is priced significantly higher than most traditional iOS games, something that potential buyers may want to consider. SEGA and Hori have announced a special controller designed after the arcade versions of their Project DIVA series based on the Miku Hatsune property. 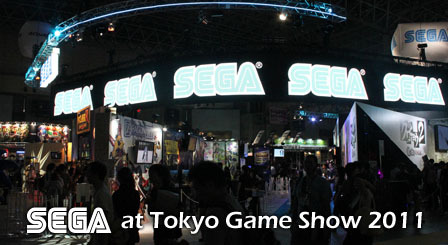 The actual use of it is fairly unique, in that the game is exclusive for the PlayStation Portable, but runs a special HD version of it on the PlayStation 3. Like the Hori Twin Sticks for Virtual-On Force on the Xbox 360, the product will only be mass produced if enough pre-orders are secured. Just like the game, it is likely this will only see a Japanese release, but details on how you can purchase one are here. SEGA has released two new videos of Hatsune Miku: Project DIVA 2nd. 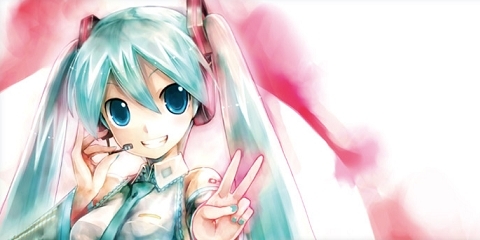 Miku Hatsune is a very popular ‘virtual idol’ in Japan who is based off of Yamaha’s Vocaloid singing synthesizer softwarethat enables users to synthesize singing by lyrics and melody from basic text. 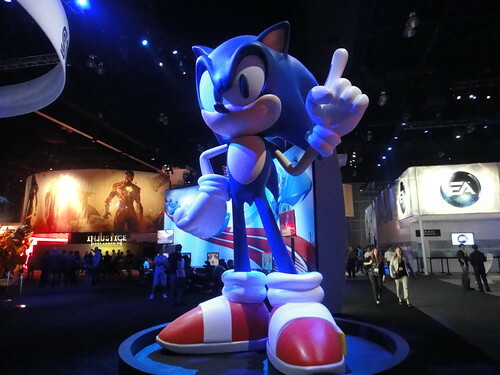 Hit the jump for the intro video and more information on the game’s release. The original Project DIVA was a fairly large success for SEGA, so with the sequel a stronger marketing campaign is planned, which includes a batch of accessories and a special console set. The bundle is being dubbed the Hatsune Miku: Project Diva 2nd Ippai Pack and comes with a PSP-3000, the game, a carrying pouch, a cloth for wiping the PSP screen and a strap to attach to the PSP, all of which are turquoise to match the main character’s color theme. It will sell for ¥26,980 (287USD). You can also purchase a different set of accessories separately, a carrying pouch, UMD case, cloth, silicon cover (shown above), strap and stickers for ¥3,980 (46USD). Check out SEGAbits for a better view on the accessories. SEGA has released a handful of screenshots for their upcoming release, Hatsune Miku: Project DIVA – Dream Theater. Hit the jump for more details and screens.